Make your Easter celebration even more fun with these cake balls decorated as Easter eggs! Moist chocolate cake and frosting are formed into pops and decorated to look like Easter Eggs. 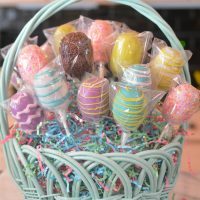 The Easter Egg Cake Pops are a cute alternative to an Easter egg cake and make a great Easter centerpiece when displayed in a basket. Cake pops have quickly become a favorite of any fundraiser, sporting event or birthday party that we host. They’re one of the most requested desserts that I receive when it comes to baking for an event, and they’re usually the first dessert to go. I have made them for preschool graduations, birthday parties, end of the season sporting events, and fundraisers. I usually make a variety of chocolate cake and vanilla cake pop, but the chocolate almost always comes out as the winner. These Easter Cake pops are very similar to all of the other cake pops that I have made, except I made them into an oval shape to resemble eggs. Learn how to make these Easter Egg Cake Pops. Egg cake pops can also be used as a fun activity for the kids to decorate on Easter. Prepare all of the cake pops ahead of time, but leave them with a solid chocolate layer for the children to decorate. Set up a decorate your egg pop station with a variety of melted candy in piping bags and sprinkles. 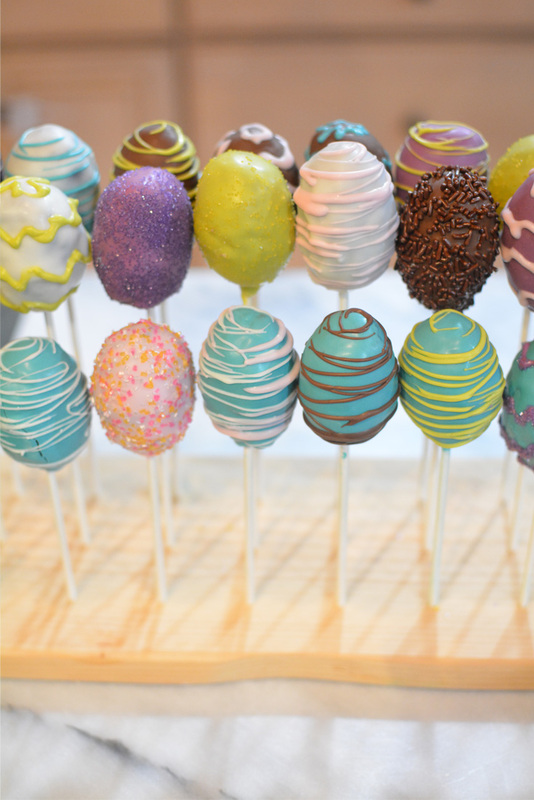 Use a cake pop stand: To make decorating the eggs easier, you can place the Easter Egg pops in a cake pop stand. The stands are also a neat and decorative way to display these delicious treats. Make sure to chill the cake balls before decorating or they may be too soft and fall apart. To save on time, prepare the cake balls a day before, place in refrigerator and decorate the following day. Preheat your oven to 350°F. Spray your 13 x 9 pan with vegetable pan spray. 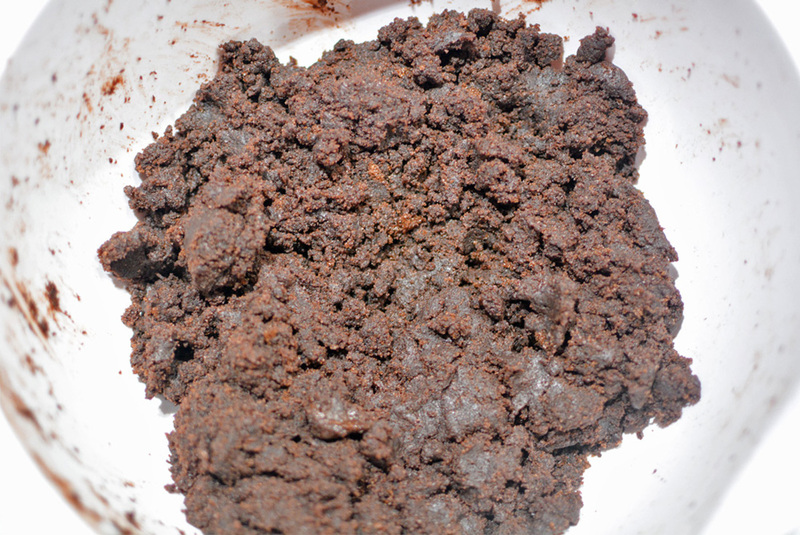 In large bowl, combine cake mix, pudding mix, eggs, water, and oil, beat at medium speed for about 2 minutes. Pour into lightly greased cake pan. Bake 30-40 minutes, or until toothpick inserted in center comes out clean. Cool in pan for about 10 minutes. 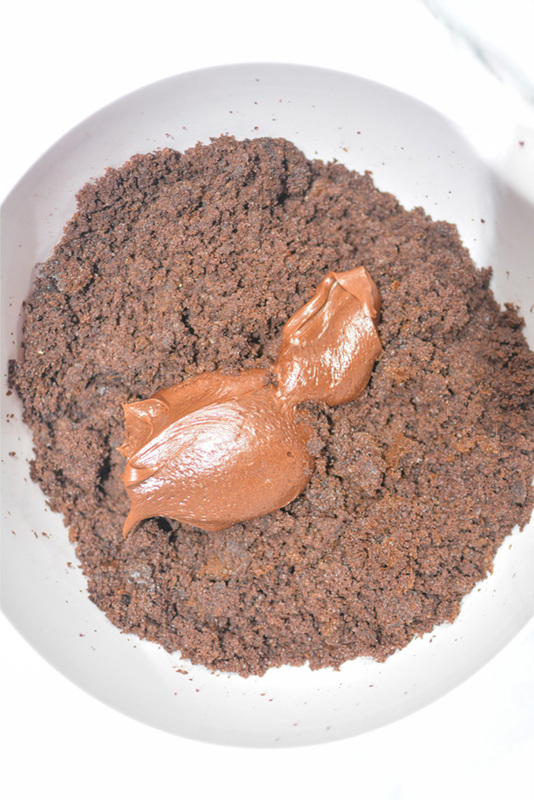 In large bowl, use hands to crumble cake until no large chunks remain, you can crumble the cake easily with 2 forks. Add frosting and mix with fingers until well combined. Form the cake mixture into an egg shape. I use a cookie scoop to measure how much mixture to use for each egg pop so that way they are all similar in size. Chill in refrigerator at least 2 hours to let harden. 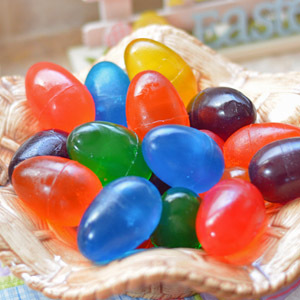 Melt Candy Melts in 30 second intervals in microwave (50% power) or on a stove top. 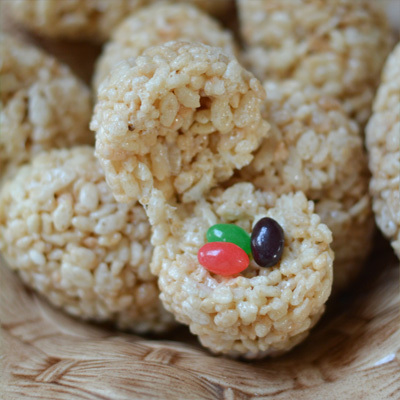 Dip sticks into melted Candy Melts and insert into cake balls; let set, you can place in the freezer for a few minutes to speed up the process. Once the stick is secured to the cake pop. Dip the pops completely in melted Candy Melts. Sprinkle on your decorations, or add the melted chocolate into a piping bag to make decorate the eggs. Be careful as the chocolate may be hot. 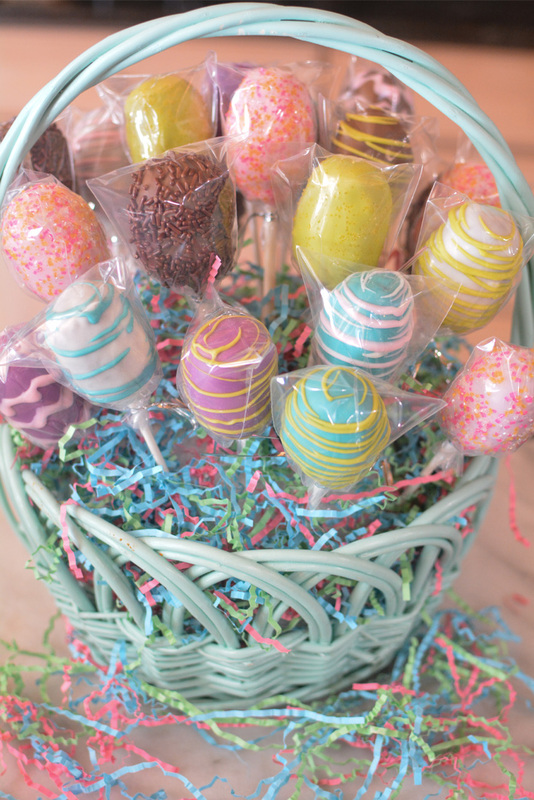 Display the Egg Cake Pops in an Easter Basket! Wrap the styrofoam 1/2 ball in cling wrap. Place into the Easter Basket, you can glue it down so that it does not slide around or come out. 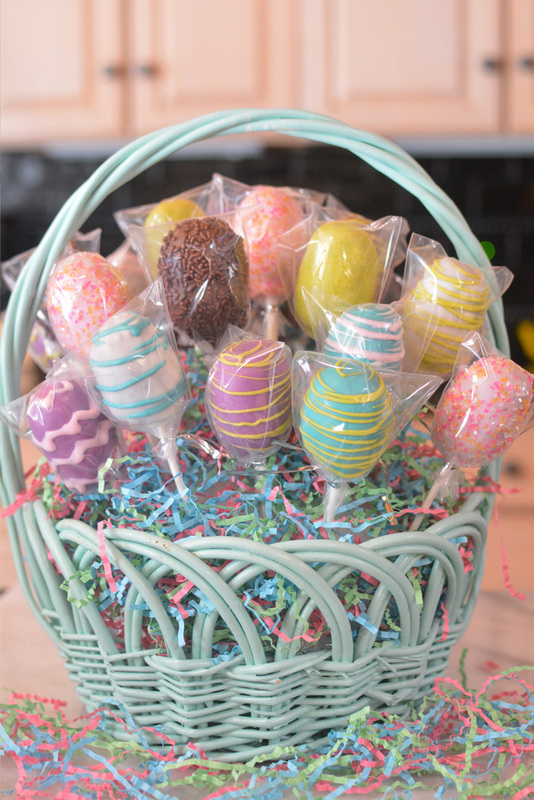 Wrap the Easter Egg Cake Pops in clear treat baskets, if you prefer. Place the egg cake pops into the strofoam ball, until all are evenly spaced out. Make your Easter celebration egg-cellent with these cake balls decorated as Easter eggs! 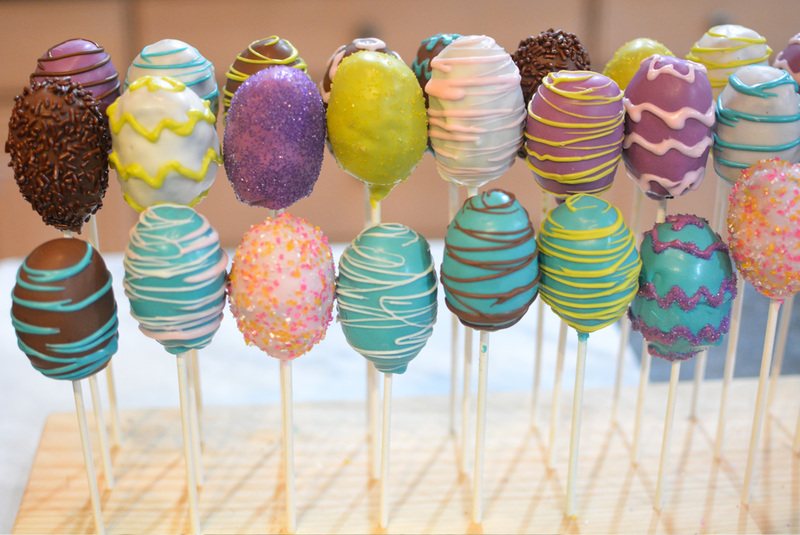 Moist chocolate cake and frosting are formed into pops and decorated to look like Easter Eggs. Form the cake mixture into an oval egg shape. I use a cookie scoop to measure how much mixture to use for each egg pop so that way they are all similar in size. Sprinkle on your sprinkles, or add the melted chocolate into a piping bag to decorate the eggs. Be careful as the chocolate may be hot. Place cakepop in stand and allow to harden. 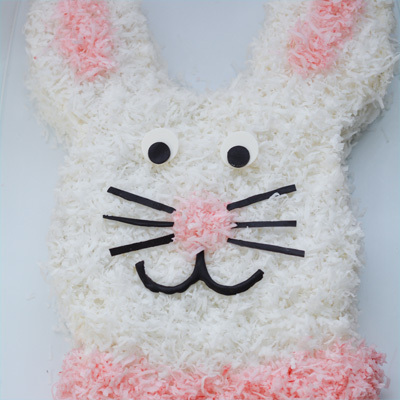 Looking for other Easter desserts to make? 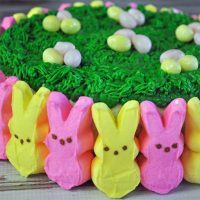 Try the PEEPS Easter Cake, easy Easter Bunny Cake, Rice Krispie Easter Eggs or Jello Eggs.